Gerald Anthony Shippen was born in northwestern Wyoming, adjecent to Grand Teton and Yellowstone National Parks. Occasional visitors to the area included such noted American artists as Thomas Hart Benton, Ivan Albright and Ogden Pleisner; all served to influence Shippen's native interest in art. Growing up on a ranch, Shippen developed an early interest in drawing and painting the people, animals and landscapes of his surroundings. His first sculptures were figures created for his own amusement out of clay from a nearby streambed. Many of the characters from Shippen's youth - horses, cattle, wildlife that frequented the ranch, cowboys, and Native Americans from the nearby Wind River Indian Reservation - continue to be favorite subjects today. 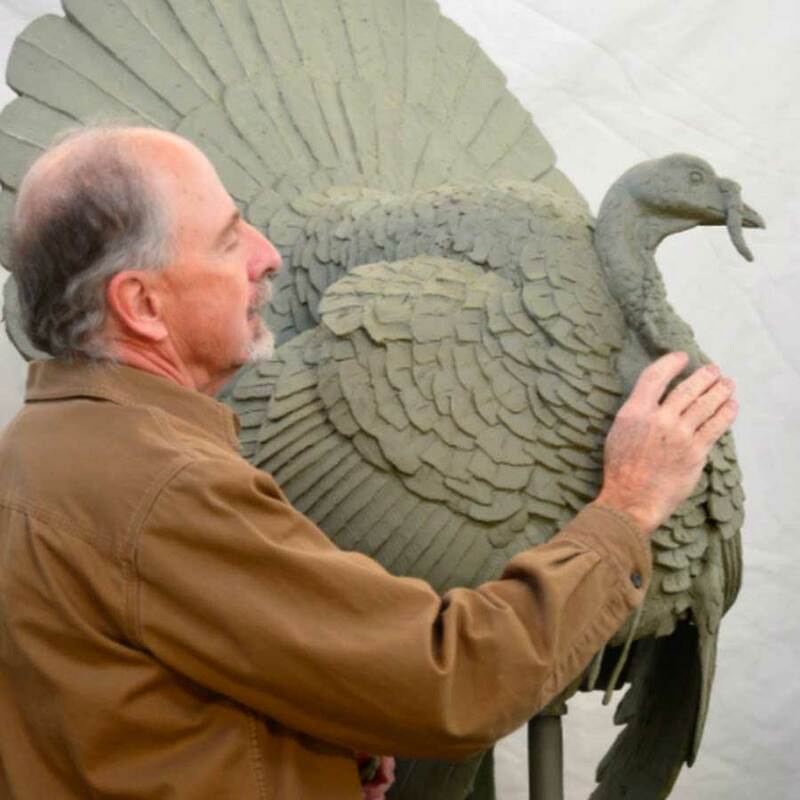 Although these subjects are often termed "wildlife art" or "Western art," Gerald prefers to be known as a figurative sculptor, for it is the figure - human or animal - which is his passion. A master of both anatomy and design, Shippen's formal training as an artist includes an MFA from the University of Wyoming, and an apprenticeship in Italy studying sculpture and lost wax bronze casting. Mr. Shippen has exhibited in numerous shows and museums, including the Buffalo Bill Historical Center in Cody, WY, the Bradford Brinton Memorial Museum in Big Horn, WY, Brookgreen Sculpture Gardens near Myrtle Beach, SC, and the American Art in Embassies Program.